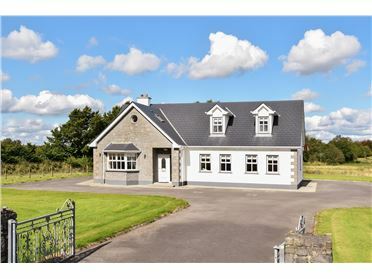 John Dolan Auctioneers are pleased to offer to the market this contemporary, fully finished dormer house on a 0.6 acre landscaped site which is situated in a much sought after area on the outskirts of Ballinasloe town, yet nestled in the peaceful, historic townland of Liscappul with views of the 'Esker Riada'. This property would make for a wonderful family home offering beautifully presented accommodation, on a generous and well maintained site with an abundance of plants and trees in a well respected location. 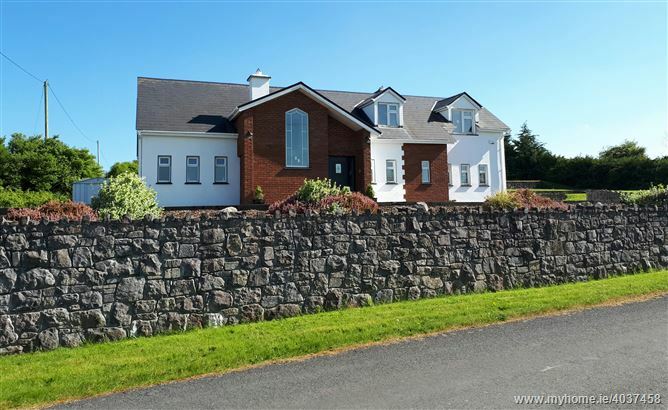 It is adjacent to the local national schools & secondary schools, within minutes drive of Aughrim Village & Ballinasloe town as well as just a mere 2km from exit 15 on the Galway/Dublin motorway which makes it very commutable to Galway city and Athlone town, with car, bus or train links. This stunning owner occupied family home has been meticulously cared for and upgraded and boasts an exquisite finish. With very special gardens, the property is set on a three tiered designed lawn, divided by traditional limestone walls, a tarmac driveway to the front and side and an attractive rockery to the front. The rear garden enjoys excellent privacy and boasts a large hardwood deck, which acts as a delightful, south facing suntrap outside the back patio door. The accommodation is bright and spacious and comprises of a large entrance hall, sitting room, kitchen/ dining room, large utility room, 5 bedrooms, 4 bathrooms (2 en-suites) and 2 garden sheds. -	Sitting Room: 5.3 x 5.5 m south facing with 3 bay windows, floor to ceiling limestone fireplace, solid maple flooring, ceiling coving, double doors. BALLINASLOE OFFICE: Main Street, Ballinasloe, Co. Galway. GALWAY OFFICE: Gray Office Park, Galway Retail Park, Headford Road, Galway.